We Broke Our Record Again, This Time in Utah! In Hurricane Utah on October 27th and 28th we had our best days ever. We came in 1st and 2nd place on that Saturday. 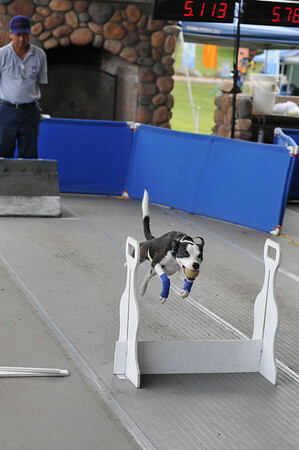 Bullet Dogs came in first place with Zippy, Dylan, Herbie, Cody, Slash and Archer. Cyclones placed second with Vegas, Ryker, Chloe, Kirin, Molly and Pooky. 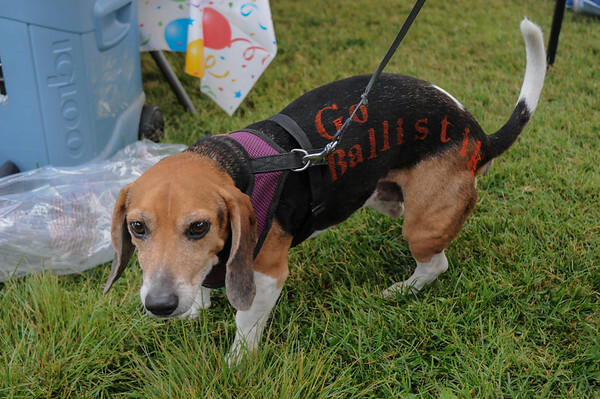 All the dogs got dressed up for the Halloween Costume Contest too. We had fun but didn’t win the contest this time. 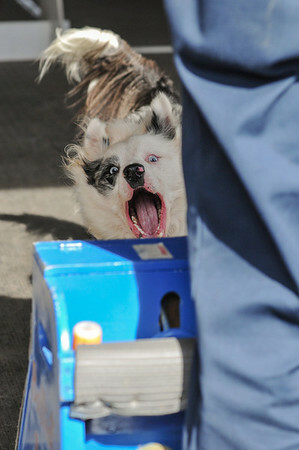 The winning dogs had some very elaborate and intricate costumes but our costumes weren’t bad for a last minute effort. 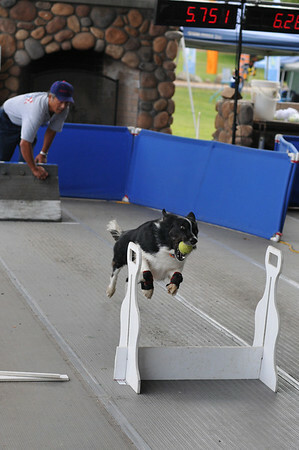 On Sunday, Bullet Dogs placed third. They were extremely close to second place, but were barely edged out. The most exciting fact though, was they broke our record again. Our previous 19.2 second record was broken with an 18.99 second run. It was the first time ever our team broke into the 18’s. Not only did we set a new record but we also had two perfect starts with Joanne and Mimi. Joanne had a perfect with Vegas and Mimi had a perfect start with Ryker. We all had a great time, and realized the long drive was worth all our winning moments! 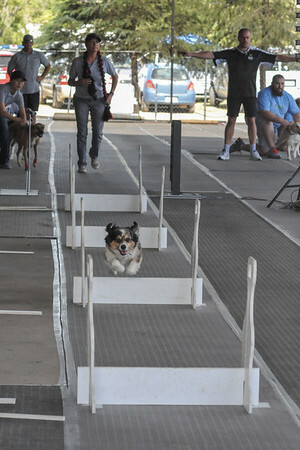 A First Place at Dogtoberfest and a New Team Record! 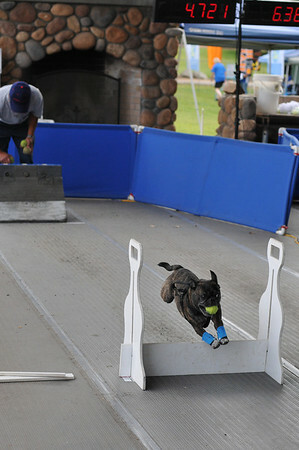 We only raced one day at Dogtoberfest in Ramona, Saturday October 6th, but it was one of our best days ever. 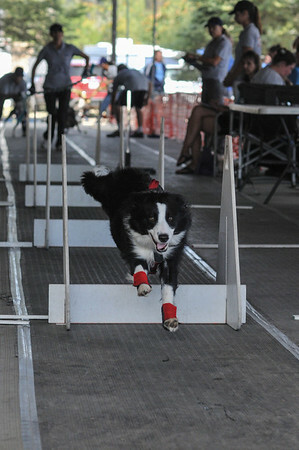 Our Bullet Dog Team was on fire with Zippy, Dylan, Cody, Herbie, Slash and Archer. We were in preparation for our farthest trip ever to Hurricane Utah. We knew that the Utah tournament was only three weeks away, so we wanted to work out all the bugs. 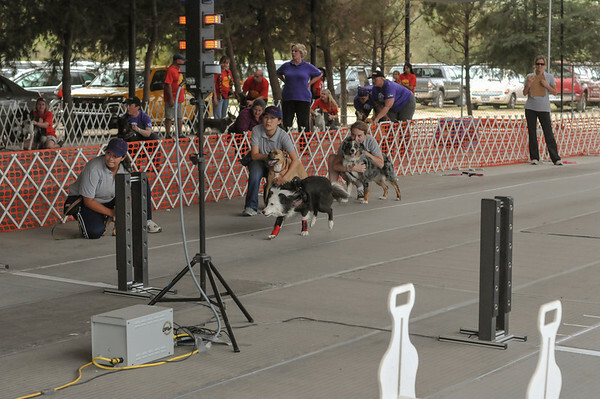 The bugs were gone when Bullet Dogs came in First Place and broke our record with a 19.2 second run. Our two other teams, Cyclones and the Jets, did very well too. Both The Cyclones and The Jets came in third place but were very close to second. As Amber K. put it, “We were smokin hot!” It was an outstanding day for Ballistic Racers with great wins, good food, and a new team record.